Help your child learn to identify the different animal and plant species that live within a field ecosystem. Along the outer frame on these puzzles are the names of flowers and animals (insects; birds; etc.). The larger picture in the middle has the same species but as an illustration. 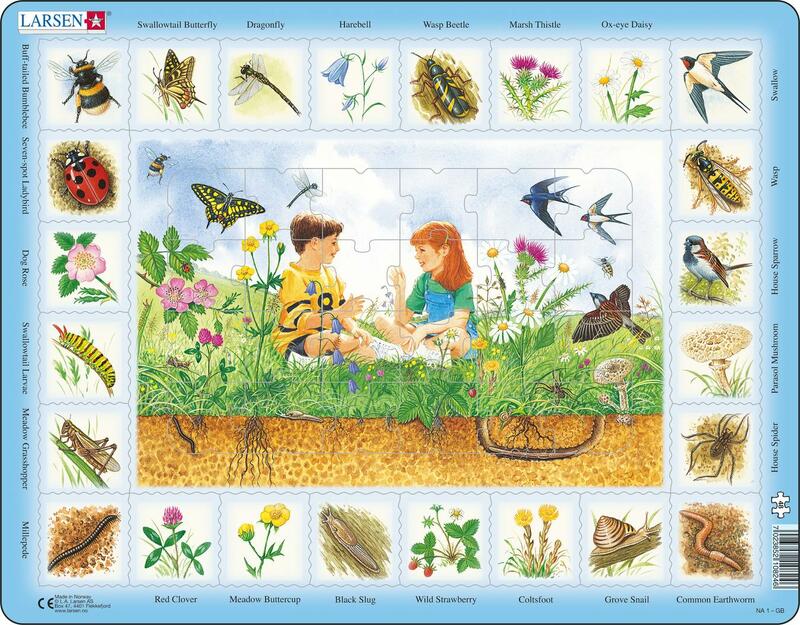 The best part is that common species are shown; so that kids can find them in the wild once the puzzle is complete! This puzzle is designed with STEM in mind, and to help facilitate a love for science and learning.